Bybloemen is a black comedy that takes place in the Dutch town of Stenen Brug at the height of tulip mania, an utterly ridiculous chapter in European history when houses were mortgaged for flowers, a virus almost capsized an entire economy, and at least one visiting Englishman was jailed for roasting and eating a tulip bulb he mistook for an onion. If you like black comedies, black and white comics, and think that chickens have been woefully underrepresented as demonic familiars, this story is right up your alley! If you also enjoy improbable friendships, witchcraft, and economic malfeasance, allow me to cater to your very specific (and impeccable) tastes! 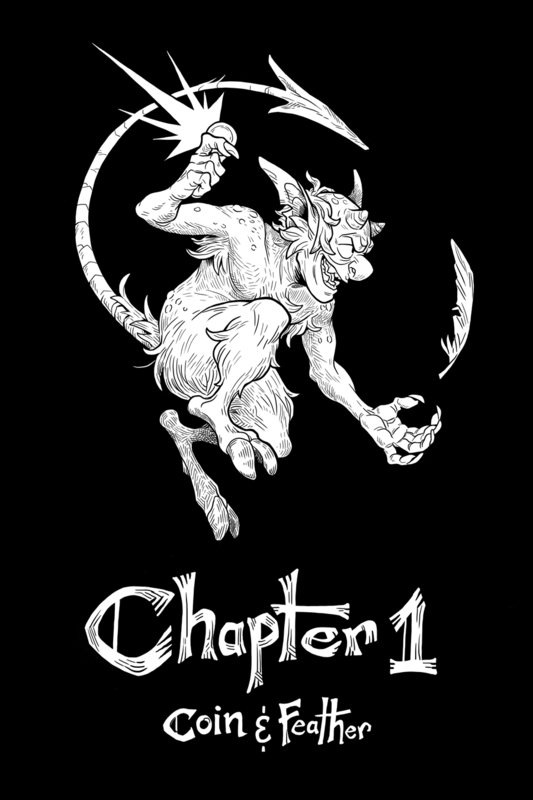 This first update is 7 pages - the whole prologue! From here on out, this comic will update on Fridays, so come back next week for the start of chapter one!